Burnout has very often been studied from a work-life specific perspective. However, a recent field of research leads to wonder about the impact that life events can have on the development of burnout. This study therefore investigated the associations between five domains of systemic quality of life and the three dimensions of burnout proposed by Maslach and colleagues. An analysis of correlations and multiple hierarchical regressions were performed on a sample of 202 French Canadian workers. These analyses report inverse associations between quality of life and burnout, with strong negative correlations between quality of life domains and burnout dimensions. The results also suggest that physical health and psychological health are strongly associated with the burnout dimensions and that systemic quality of life significantly adds variance into the risk factors model of emotional exhaustion and reduced personal accomplishment. This study provides empirical data supporting the belief that burnout is not work-life specific; burnout seems to have interactions with other life domains. These results point to the importance of raising awareness about the different life domains involved in the development of burnout, whether at the level of organizations, workers or practitioners. 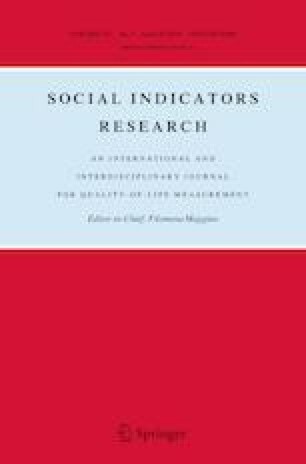 This is a unique paper of a master thesis examining burnout and quality of life. The first author received a scholarship from the Centre de recherche de médecine de l’Université de Sherbrooke to conduct this research. Leiter, M. P., & Maslach, C. (2003). Areas of worklife: A structured approach to organizational predictors of job burnout. In Research in occupational stress and well-being (Vol. 3, pp. 91–134). Bingley: Emerald (MCB UP). Retrieved from http://www.emeraldinsight.com/10.1016/S1479-3555(03)03003-8. Zawieja, P., & Guarnieri, F. (2013). Épuisement professionnel: Principales approches conceptuelles, cliniques et psychométriques. Armand Colin. Retrieved from https://halshs.archives-ouvertes.fr/hal-00848200/.